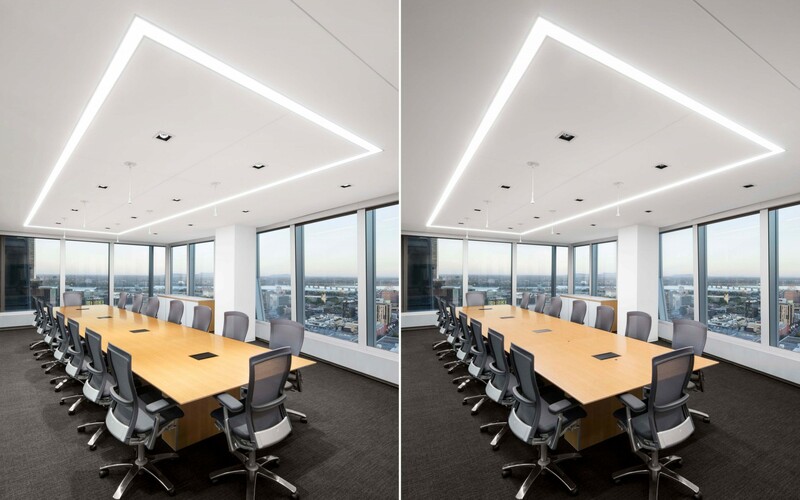 Lighting Design: Gensler Architecture and Design Inc. 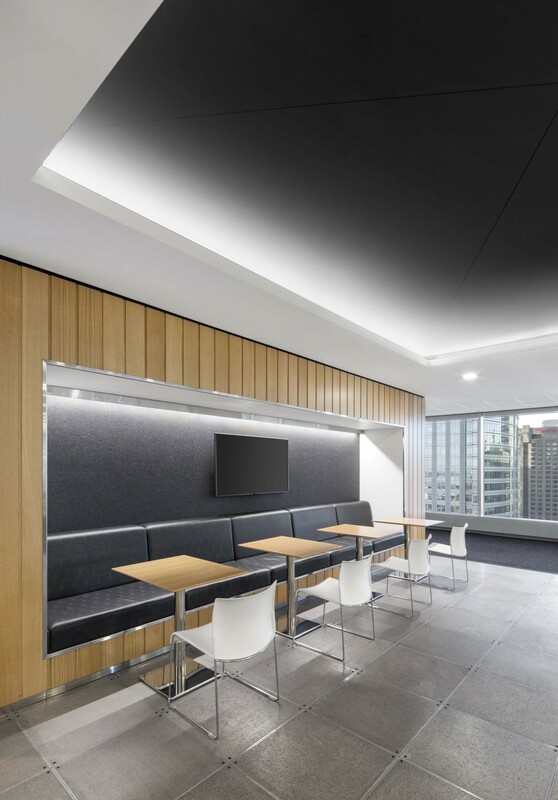 Turning the open-spaced "glass house" of Rio Tinto's new Regional Center into an energy efficient home for their employees allowed Lumenpulse luminaires to exhibit their efficiency, versatility, and uniformity. 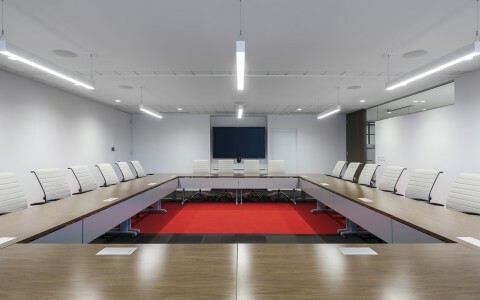 *The Rio Tinto Regional Center is LEED-CI (Commercial Interior) Platinum certified. When an industry giant moves shop it usually moves in a big way. 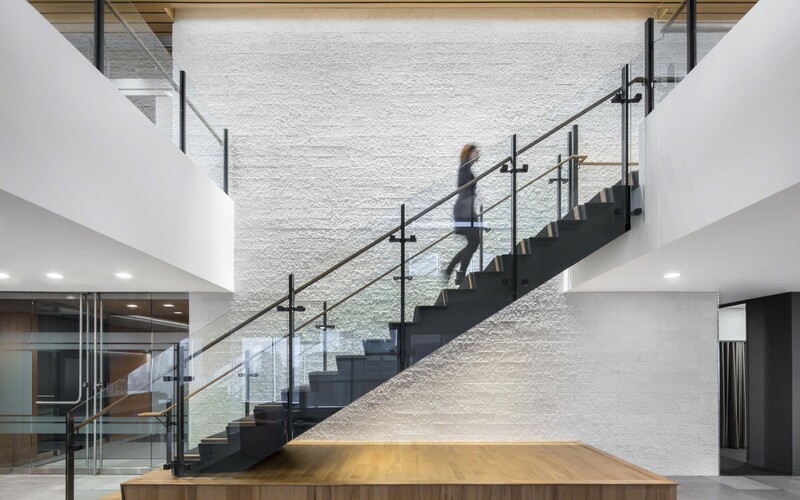 Rio Tinto, a global leader in aluminum mining and production, recently moved its regional center to a newly constructed building in the heart of downtown Montréal, Canada. 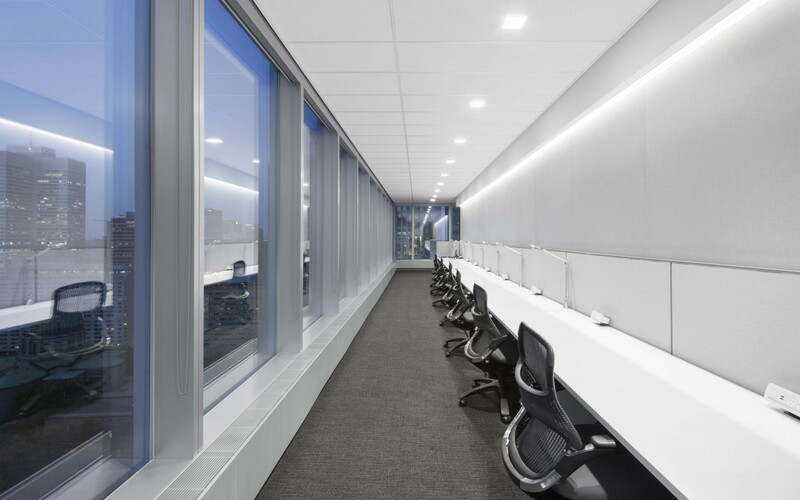 The move left an older, closed-office space behind in exchange for the top floors of the 26-story full glass Deloitte Tower with an open office layout, multi-use collaborative spaces and impressive views of Montreal's downtown. 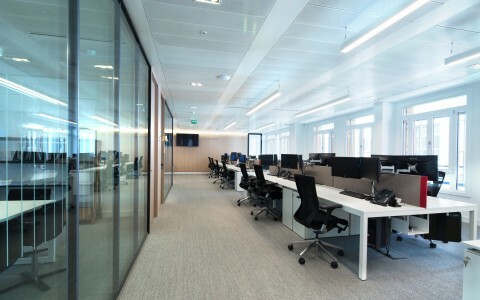 Rio Tinto wanted their new home to be extremely energy efficient. 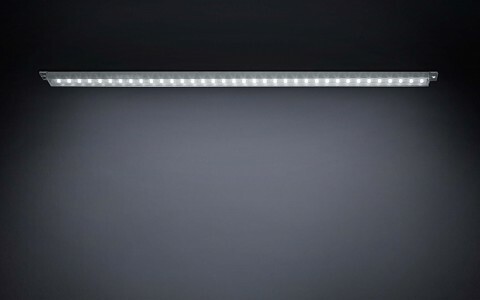 JBCA and Rio Tinto had no question that the latest in LED technology would be needed. 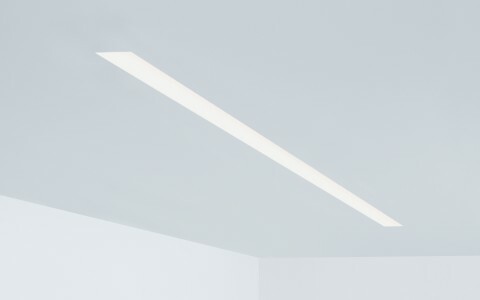 After working with Lumenpulse for years, JBCA knew that the price/quality ratio of the Lumenpulse luminaires, its local manufacturing sourcing, along with their extreme functional/efficiency ratio, would fit the bill. 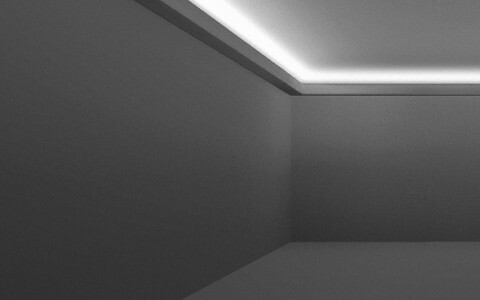 Their lighting concept was a minimalistic, modern and clean approach to warmth that would create an open-space environment that was welcoming and inspiring for those working there. 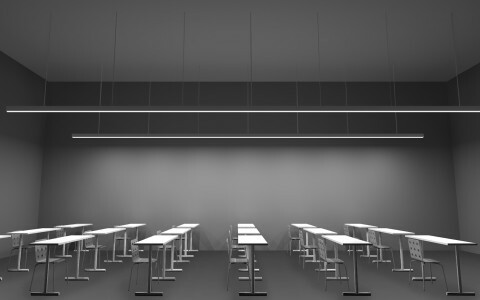 Task lighting would be used in specified areas, cove lighting and spot lighting in doorways and in the thoughtfully designed personal spaces, phone booths, small capsules, and various collaborative spaces. 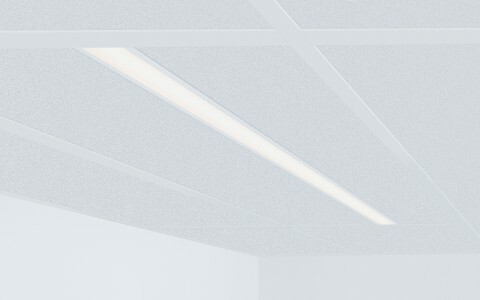 The thorough uniformity that the Lumenpulse luminaires provided eliminated any hot and cold areas by keeping a consistent warmth throughout the large main space, as well as within the closed spaces, while still allowing room for a more verbose lighting in elevator areas and other sections of high traffic. 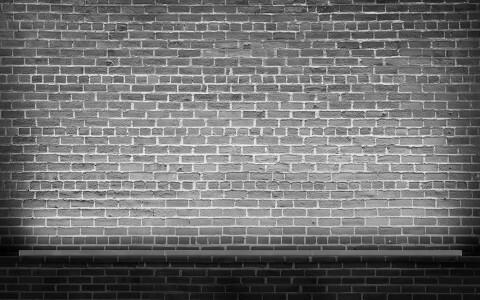 During post-construction, once areas had been "lived in", some additional fixtures were required to address specific functions. 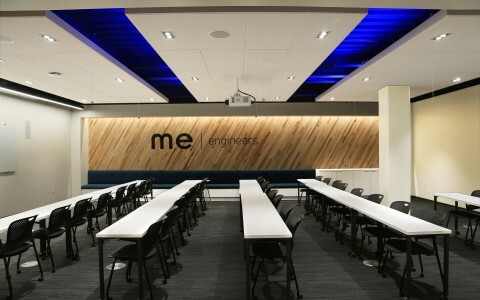 Lumenpulse was able to meet these requirements without compromising the finished structure. 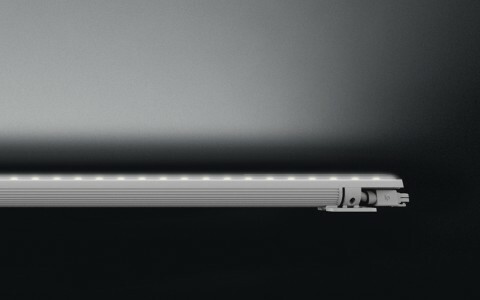 Due to the daisy chain capabilities of many of our fixtures, re-wiring was un-needed, the fixtures were easily linked to those already in place at a minimal cost and the majority controlled by a central DALI (Digital Addressable Lighting Interface) system for maximum flexibility and programmability. 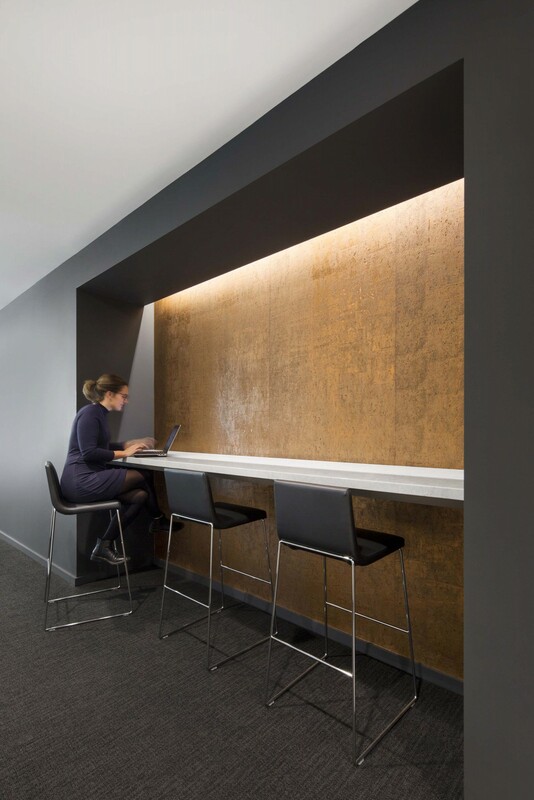 Starting from a new LEED Core and Shell certified base building, the office has recently achieved LEED-CI (Commercial Interior) Platinum certification. 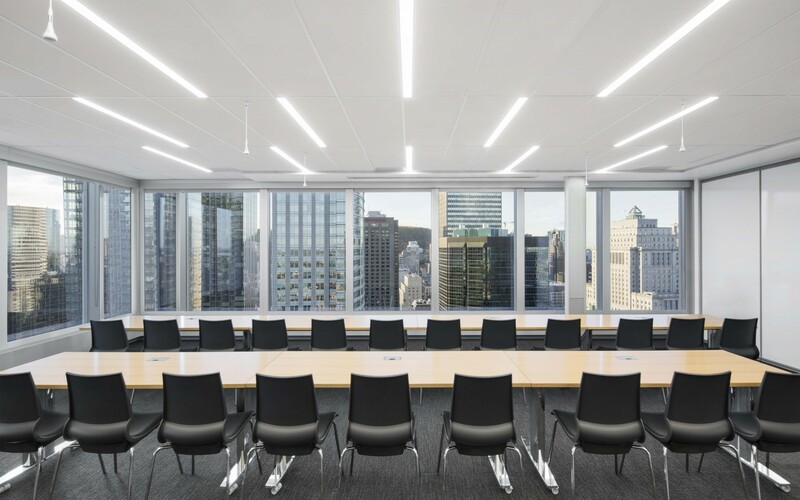 This certification recognizes high-performance green interiors that are healthy, productive places to work; are less costly to operate and maintain; and have a reduced environmental footprint. 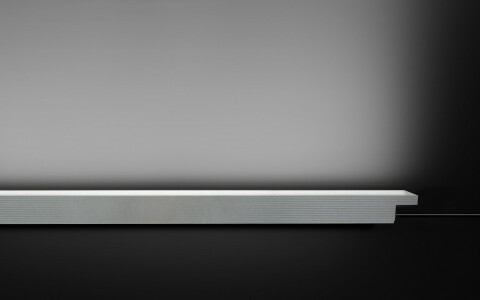 The versatility of the fixtures helped create a welcoming, energy-efficient environment. 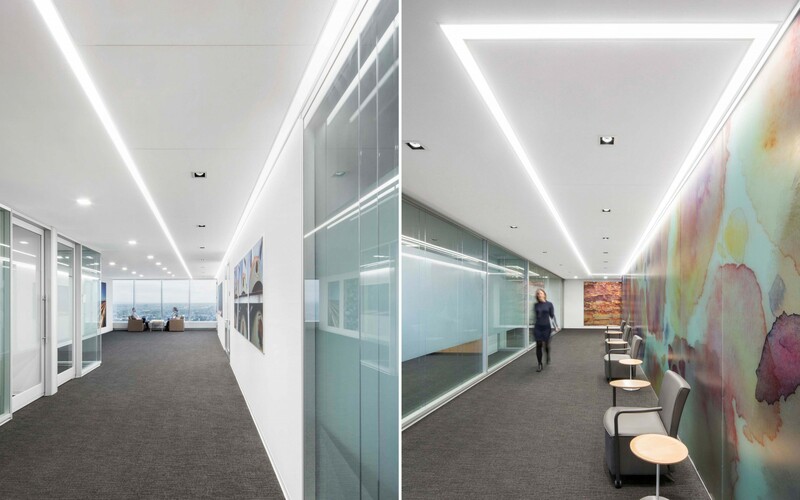 With the aid of the right lighting, the JBCA team and their collaborators were able to create an efficient working environment that would open the minds and spirits of the employee working within.